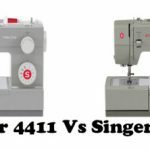 Brother XR3774 – Is It Worth Buying? 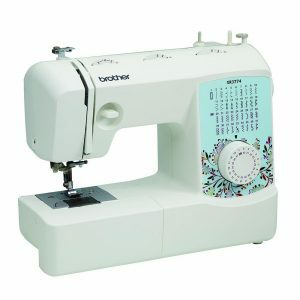 Brother XR3774 is a new beginners sewing machine. It has all the basic features but watch the price before you buy. Brother XR3774 is a new kid in the town. It was released in September 2014. At that time the price was insane and it wasn’t a good deal at all, especially when you can get Brother CS6000i for couple of dollars more. Now that the price has come down significantly, it is worth having a look at XR3774. This is a beginners sewing machine for sure. It comes with 37 built-in stitches which includes one 1-step buttonhole. You can call it a basic mechanical sewing machine. The stitch selection is done by turning the dial. The machine features an automatic needle threader, which is a blessing for beginners. The drop-in bobbin with a clear cover is something that beginners will always love. The maximum stitch width is 5mm and length is 4mm. You can use XR3774 for free motion quilting as well (another good feature, pretty much a default in modern sewing machines). A free motion quilting foot is also provided. 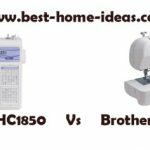 Brother XR3774 is a lightweight sewing machine. It just weighs 12.3 pounds. A sewing light is provided for working in the dark. The motor which is capable of delivering 800 stitches/min is more than enough for a beginner. The machine comes with an extra wide quilting table as well. The accessories that come with this machine is pretty impressive as well. Even though XR3774 is a beginners machine, it comes with enough features so that you can grow your creativity to a certain extent. There are some good looking decorative stitches on offer. Setting up is pretty easy, even if you haven’t used a sewing machine before. The quick start guide will get you rolling. There is nothing confusing about this machine. The machine is easy to sew, you don’t need to adjust the tension every now and then, hence the stitch quality remains consistent throughout. Since the tension is perfect, switching between different types of fabrics is effortless. The machine is relatively quiet when compared to other machines in the price category. One commendable thing about this machine is the quality of its foot pedal. It seems to have the right amount of tension, so that you get a feeling that you are in control all the time. The LED bulb does a very good job in illuminating the work space. Even though Brother XR3774 is a new product, Brother hasn’t tried anything out of the box. 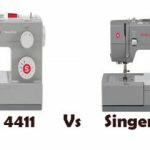 There are not many innovative features other than the basic ones you normally find on beginners sewing machines. But still, the quality of stitches are excellent and it offers quite a lot of features. The only thing you need to be watchful is the price. During the first couple of months after its release, the price was so high that it came close to the price of Brother CS6000i which is a computerized sewing machine. At that time you could buy a Brother CS6000i if you had couple of dollars more. Now, it seems the price has dropped significantly. I am not sure how long this will last. 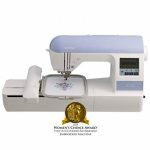 Brother XR3774 is a highly recommended sewing machine only if it costs at least $20 less than CS6000i. CS6000i is far more advanced in features. I believe CS6000i will be too much for XR3774 to handle (unless it comes with a better price, it seems to have a better price now). CS6000i has almost double the number of built-in stitches (60 of them) and it is a fully computerized sewing machine. It also features in out list of ‘Machines You Can Buy With Your Eyes Shut’. 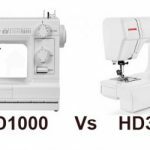 I personally love CS6000i, it is one of the best sewing machines around.